These captivating short stories are locked together with keys: to diaries, mysterious gardens, rooms, prisons, and hearts. With dark humor, magical realism, and profound observations, Oyeyemi creates compelling characters and absorbing plots. Playful, ambitious, and exquisitely imagined, What Is Not Yours Is Not Yours is cleverly built around the idea of keys, literal and metaphorical. The key to a house, the key to a heart, the key to a secret—Oyeyemi’s keys not only unlock elements of her characters’ lives, they promise further labyrinths on the other side. In “Books and Roses” one special key opens a library, a garden, and clues to at least two lovers’ fates. In “Is Your Blood as Red as This?” an unlikely key opens the heart of a student at a puppeteering school. “‘Sorry’ Doesn’t Sweeten Her Tea” involves a “house of locks,” where doors can be closed only with a key—with surprising, unobservable developments. And in “If a Book Is Locked There’s Probably a Good Reason for That Don't You Think,” a key keeps a mystical diary locked (for good reason). 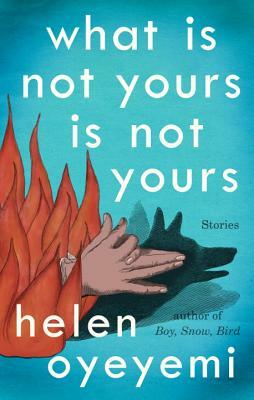 Helen Oyeyemi is the author of the story collection What Is Not Yours Is Not Yours, along with five novels-- most recently Boy, Snow, Bird, which was a finalist for the 2014 Los Angeles Times Book Prize. She received a 2010 Somerset Maugham Award and a 2012 Hurston/Wright Legacy Award. In 2013, she was named one of Granta's Best Young British Novelists.